Milk Protein, Hydrolyzed Gelatin, Glycerin, Vegetable Oil, White Chocolate Chips (Sugar, Cocoa Butter, Whole Milk Powder, Soy Lecithin), Soy Protein, Sugar, Reduced Fat Cocoa Powder, Oat Flour, Gum Acacia, Sodium Bicarbonate, Cream Of Tartar, Natural & Artificial Flavors, Salt, Sucralose. 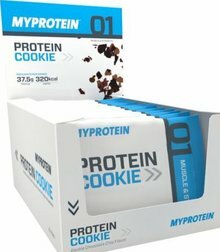 Milk Protein, Hydrolyzed Gelatin, Glycerin, Vegetable Oil, Soy Protein, Chocolate Chips (Cocoa Mass, Sugar, Soy Lecithin), Sugar, Reduced Fat Cocoa Powder, Candied Orange Peel (Sugar, Orange Peel, Citric Acid), Oat Flour, Gum Acacia, Sodium Bicarbonate, Cream Of Tartar, Natural & Artificial Flavors, Salt, Sucralose. 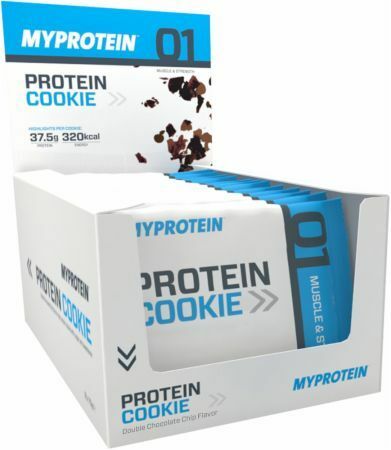 Milk Protein, Hydrolyzed Gelatin, Glycerin, Vegetable Oil, Chocolate Chips (Cocoa Mass, Sugar, Soy Lecithin), Soy Protein, Sugar, Reduced Fat Cocoa Powder, Oat Flour, Gum Acacia, Sodium Bicarbonate, Cream Of Tartar, Natural & Artificial Flavors, Salt, Sucralose.